New Delhi (Sputnik): India's state-owned Defense Research & Development Organization (DRDO) has conducted a successful penetration trial of the critically important Fin Stabilized Armour Piercing Discarding Sabot (FSAPDS) ammunition, designed and developed for the Indian Army's T-72 and T-90 main battle tanks. "The trial results established the penetration capabilities of the indigenously designed FSAPDS ammunition, at par with NATO and Russian tank ammunition," a DRDO document reads. The ammunition is developed by the Armament Research and Development Establishment (ARDE), Pune, and the trial was conducted between November and December last year. India, presently, imports FSAPDS for approximately 3,500 T-90 and T-72 tanks, worth over $70 million annually. Since 2012, the Indian Army has been relying on Russia for such critical ammunition, following the blacklisting of the Israeli Military Industry by the Indian government for alleged wrongdoing in military purchases. "With low cost, low wear and moderate chamber pressures, this ammunition is extremely safe and effective up to combat ranges. The successful trials would pave the way for overcoming the shortage of tank ammunition for T-72 and T-90 Indian Army Main Battle Tanks," DRDO said. 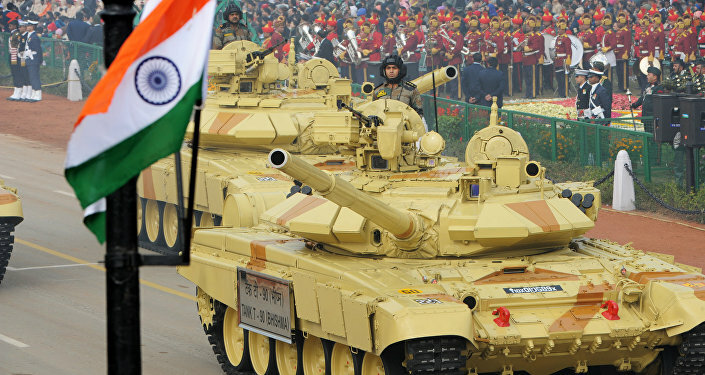 The Indian Army is facing a critical shortage of ammunition for its main battle tanks and plans to import a hundred thousand rounds to meet the immediate requirement, while promoting domestic manufacturing for future needs. 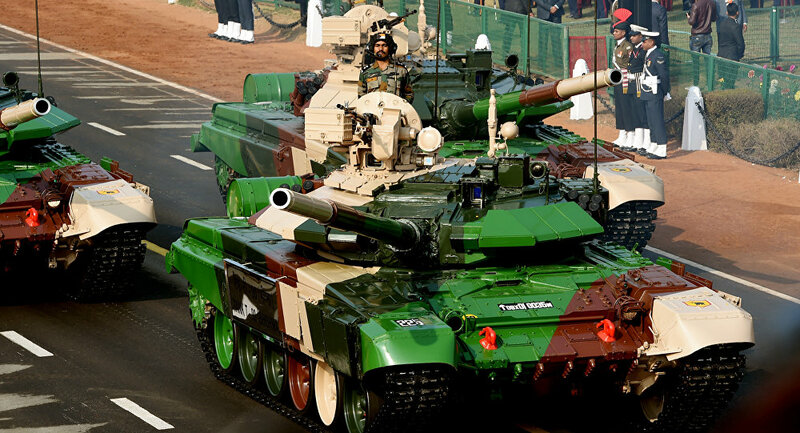 Last year, in June, the Indian Army had issued a detailed tender for the acquisition of one hundred thousand FSAPDS, which can be fired to destroy enemy tanks and infantry combat vehicles. Last year, the Indian defense ministry had also asked domestic manufacturers to supply ammunition worth $3 billion for the armed forces over the next decade. At present, the government-owned ordnance factories managing 41 manufacturing units and 32 other establishments have a monopoly over the production of ammunition. The Ministry of Defense had floated a tender for domestic private manufacturers for the supply of 125mm armor-piercing types for T-90 and T-72 tanks, 40mm multiple grenade launchers/under-barrel grenade launcher) ammo, 30mm ammunition used by armored infantry carrying vehicles, 122mm Grad rockets for Pinaka series and a bi-modular charge system. FSAPDS ammunition is the most lethal kinetic energy ammunition, capable of destroying all known tank armor up to direct shooting range. FSAPDS components are sensitive and sophisticated in nature and demand utmost care during their manufacturing and assembly. The dimension and weight accuracy in various components is maintained to very close tolerance limits to achieve the optimal overall performance of the ammunition.